OMAHA, Neb. 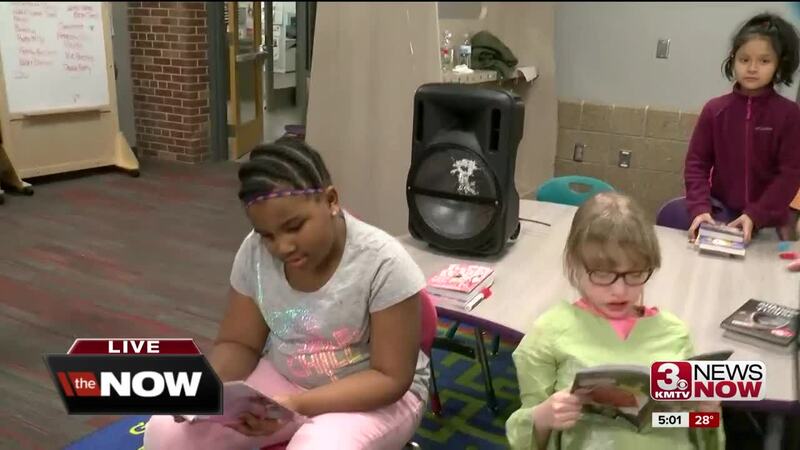 — National Reading Day is January 23rd, and employees at KMTV donated enough money to the Scripps Howard Foundation's " If you give a child a book... " campaign to help put hundreds of books into the hands of children. The Foundation organizes this special campaign for all Scripps television stations. The money raised is used to purchase books through Scholastic. KMTV paired up with the Florence Boys & Girls Club and decided the best way to give the books would be through a Scholastic Book Fair. There are enough books for 170 kids to receive four each! Any extra funds will go straight to the Boys & Girls Club plus they'll receive Scholastic dollars to build up their library. KMTV volunteers are helping with the book fairs on Wednesday and Thursday. Even Clifford the Big Red Dog was there to hang out with the kids and take pictures! If you'd like to learn more about the campaign, click here .